L'union Lourdes-Tarbes Pyrenees Basket (NM1) signed 33-year old Mali international swingman Mamadou Sy (196-85, college: Cloud County CC). He started the season at Brissac Anjou in the NM1. Sy has played there for the last three years. 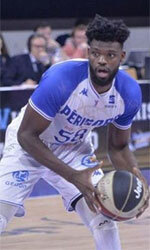 The last season he played also at Brissac Anjou Basket where in 33 NM1 games he had 4.4ppg, 4.3rpg and 1.9apg. Sy played in the final of French NM2 in 2017. He also represented Mali at the African Championships in Madagascar eight years ago. His stats at that event were 5 games: 4.2ppg, 4.6rpg, 2.8apg, 1.0spg. 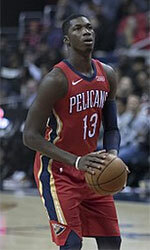 Sy has spent his entire career in France playing for five other teams: Saint Vallier, Stade Clermont, Boulazac Basket, SO Maritime Boulogne and Lille Metropole. Sy attended Cloud County Community College until 2006 and it is his 13th (hopefully lucky) (!!!) season as a professional player.